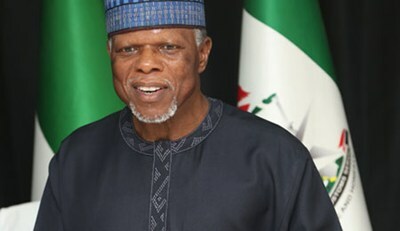 The Comptroller-General of the Nigeria Customs Service, Hameed Ali, said on Tuesday that only lazy Nigerians would be hungry. He made the remark when he led the Buhari Support Organization to President Muhammadu Buhari at the Presidential Villa, Abuja. He said: “Mr. President, on the economy, today our economy has grown all because of the discipline you have instilled in the financial sector. All those non-challenging attitudes, all those days of siphoning money are no longer feasible. I tell you Mr. President and I use myself as an example, way back I use to get some funds and I used to use it and buy rice and give to some people. “Mr. President today, I have to ration the rice. That is a fiscal discipline. Now, I know how to cut my coat according to my size and that is all because of you Mr. President. What else can we ask for? “Mr. President, those of us that you gave trust and asked us to go out and work, today, we are working. We are deriving, not because of anything especially in areas like ours, where we step on big men’s toes, we do that because we know nobody will come and ask you to talk us and ask us to stop what we are doing. “Mr. President, one area that I know touches your heart is that today we are about reaching our rice requirement in Nigeria. Today we are seeing physically where people are rejecting foreign rice for local rice, today. Mr. President if you go to some of our houses, what you will see is local rice and that is wealth for our people. “Last year, during the Hajj period when I went home, many farmers came to me that they have never had it so good, so much so that the first 25 people that paid up their money when Hajj fares was announced were rice farmers. What more can we say in terms of growth of wealth? “People say we are hungry, of course the lazy must be hungry because if you do not work hard, manna doesn’t fall from heaven. So when people say we are hungry, there was never a time in Nigeria that food dropped in the mouth of the people and they can never be.